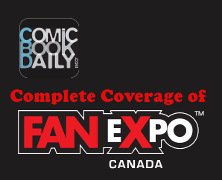 Fan Expo features hundred of artist and artisans. Every year when I wander through Artists Alley I will find one that has an interesting story, or offers something very kitschy or cool that I need to pick up. This year wasn’t any different from any year previous. This year I met Thomas Cook. 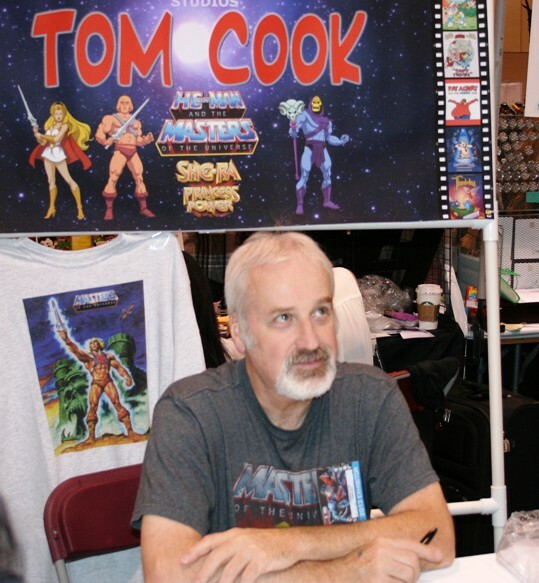 Thomas Cook is an animator who worked with companies like Hanna Barbara and Filmation. Some of the series he worked on were Scooby Doo, Thundarr The Barbarian, Bravestar, She-Ra and Masters of the Universe. I grew up watching many of the shows that Tom worked on, so it was a real pleasure to talk to him. I flipped through his portfolio and found a print for the Godzilla animated series that came out in the late 70’s. Some of you may be too young to remember this, but if you grew up in those days, Godzilla and Godzookie were very familiar. I remember watching Godzilla and Godzookie on our old black and white TV, before we got our first colour TV in 1979 (am I that old?). Tom also has a company called Comic Recreations. He recreates duplicates of original artwork for sale. The art he creates are updated versions of original artwork that may not be available for sale due to cost, or the piece may not exist anymore. Not only does he recreate the artwork, he can clean up the artwork, and fix any mistakes that may have existed on the original. As a result you will have an almost perfect duplicate of the original artwork (that can be reproduced at any size). Tom was a very cool guy to talk to, and his artwork played a huge role in my childhood. Masters of the Universe and She-Ra were two of my favourite shows when I was a kid. To this day, MOTU and She-Ra are still some of my favourite animated series. There was one print I had to have of his. It was an amazing She-Ra print, and he personalized it for my wife (who said she grew her hair long when she was a kid because of She-Ra). For more on Tom, please check out is website. He will be appearing at several conventions around North America.